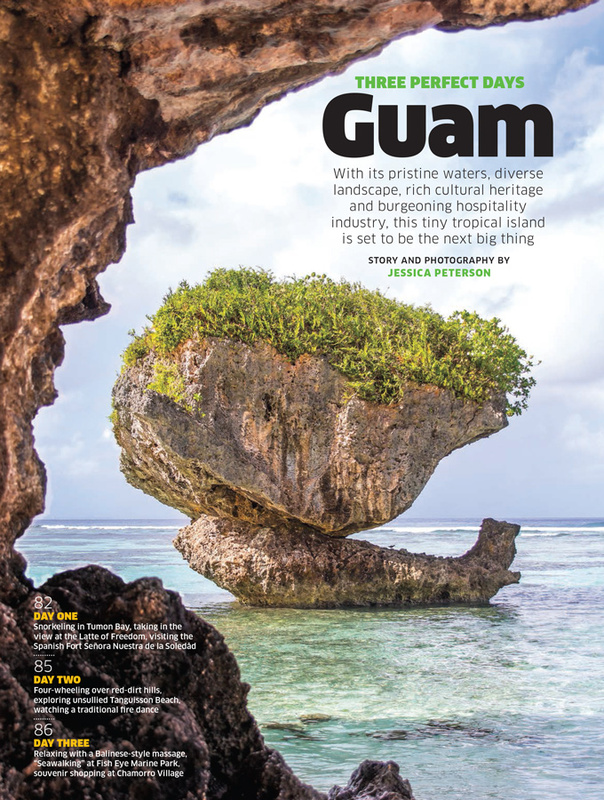 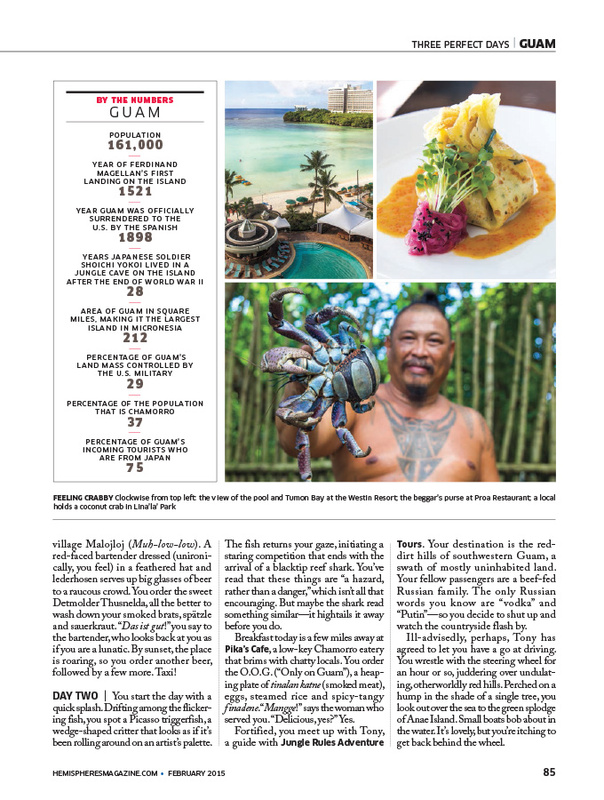 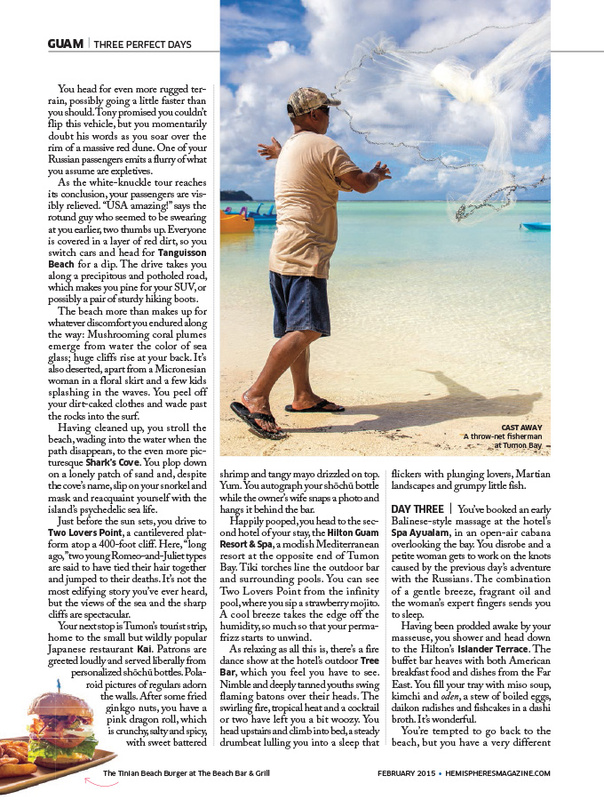 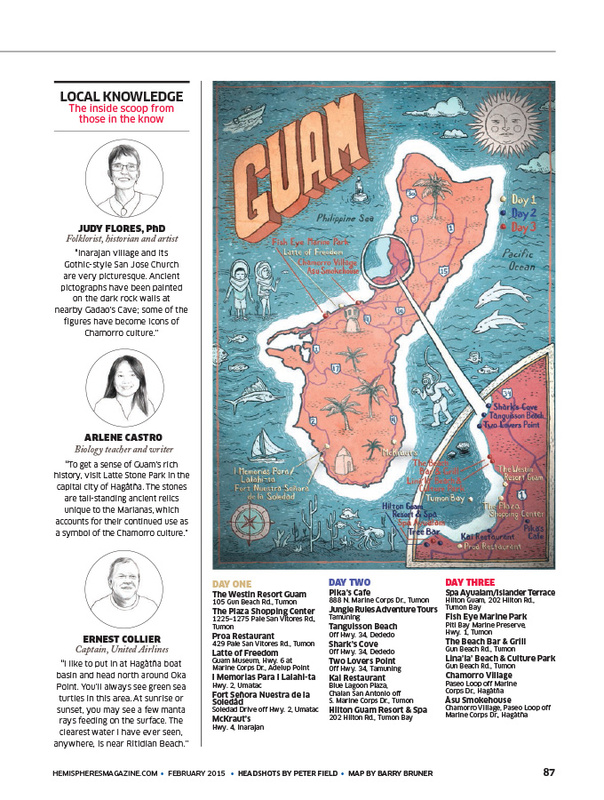 Guam is the cover story in United Airlines Hemispheres magazine February 2015 edition. 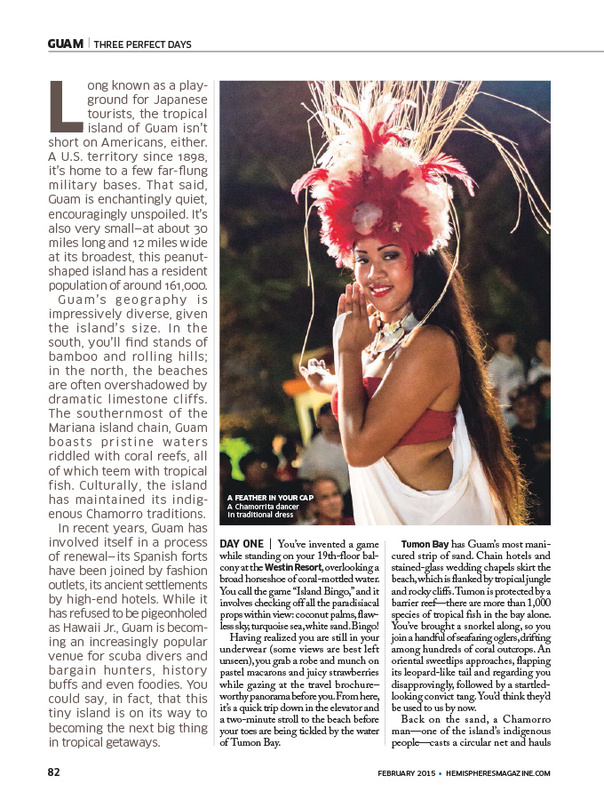 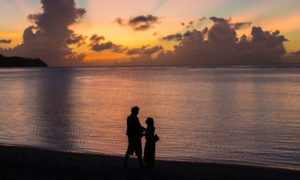 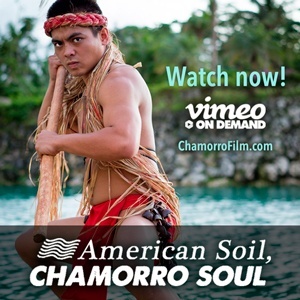 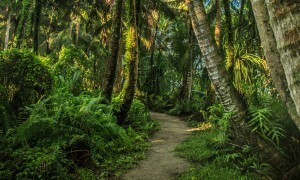 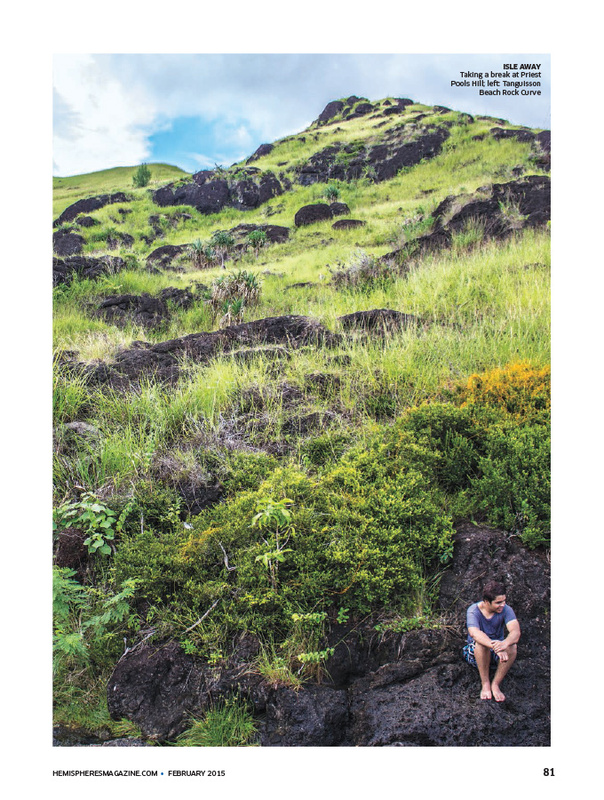 The feature was written and photographed by The Guam Guide creator, Jessica Peterson. 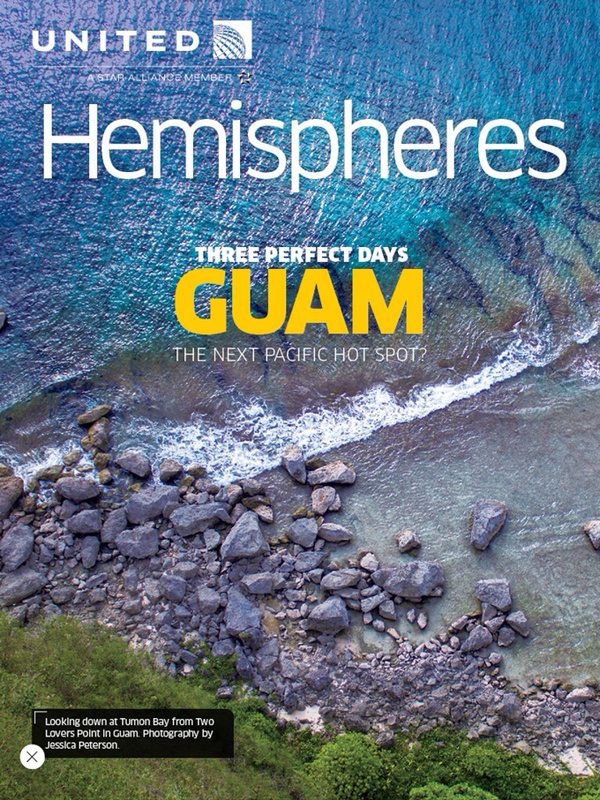 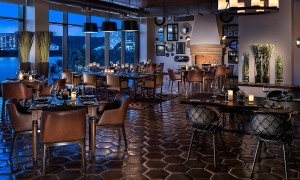 Hemispheres has a circulation of 14 million. 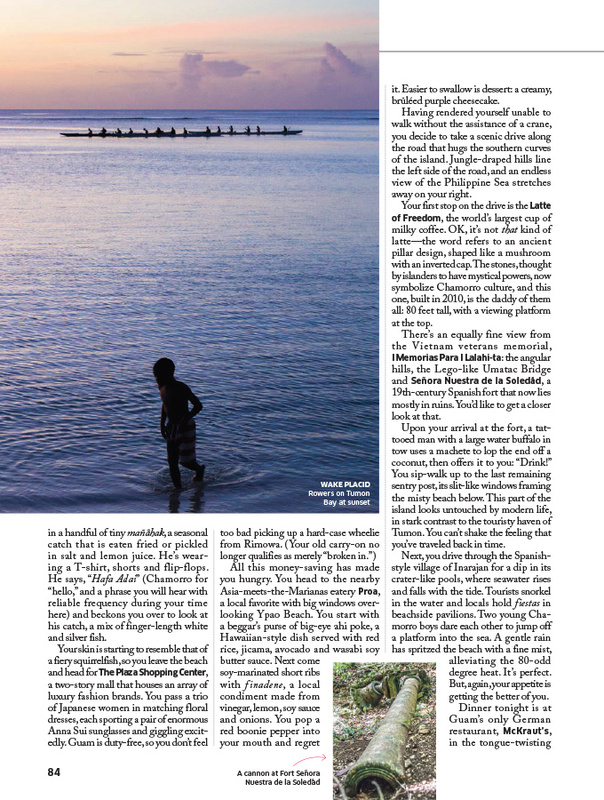 You can read the story online, download a PDF, or view on the Hemispheres app. 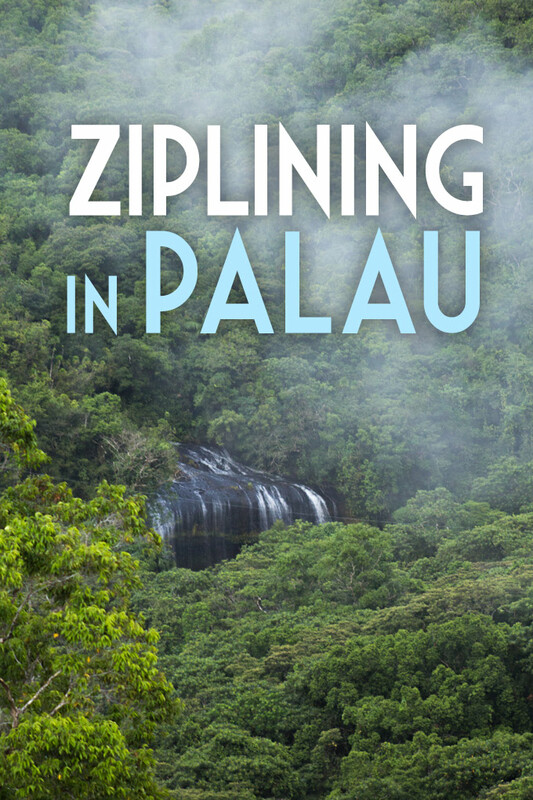 Listen to Jessica Peterson’s interview on Guam radio station K57 about writing this feature.